This is an exam offered by Cisco that leads to the Cisco Certified Network Associate R&S certificate. It measures the ability of an individual to demonstrate essential skills of LAN switching alongside routing. To get certified, you need to take the 200-125 composite test or pass the 100-105 (ICND1) exam and then the 200-105 (ICND2) exam. 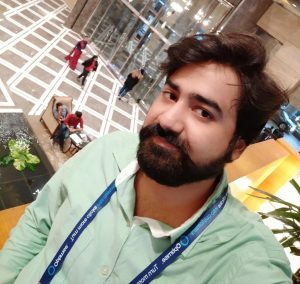 This 200-125certification test includes a broad span of topics which in turn are included in the training courses of the ICND1 and ICND2 exams. 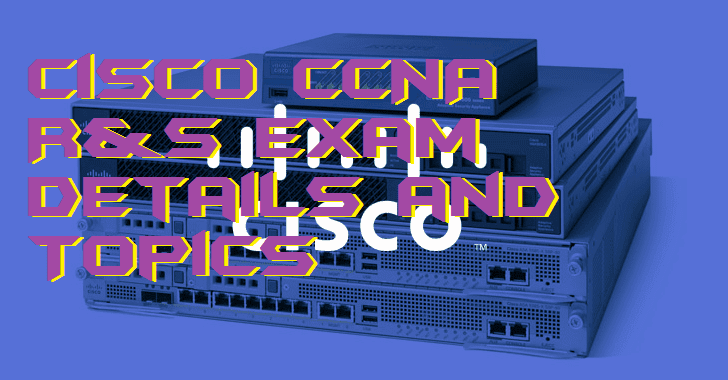 To pass the Cisco CCNA R&S exam, you should score about 800-850 (the scale of 1000). There are about 50-60 multiple-choice questions that should be answered within 90 minutes. To learn more about Cisco CCNA R&Stestsclick here. You can also practice with previous version guide books. These resources offer you flashcards, more than 1000 practice questions, and study sheets for the test. https://www.prep-away.com/ccna-routing-and-switching-certification-training.html provides candidates with all the necessary study materials. You can find books,“31 Days Before” series and other tools through the Cisco Press. The materials include lab exercises and practice questions to help you to get ready for the certification test. We can recommend you to begin learning binary mathematics so that you can quickly calculate before you start using these study resources. This knowledge is crucial for you to take the test. You need to search for additional study materials so that you could cover your basis before you take the test. For this test, you cannot just rely on theoretical knowledge; you need practical experience to get the passing score. Use your knowledge for real-world troubleshooting and networking issues. This will help you master and polish your skills that will be vital to get the certificate. Concentrate on the trouble spots that usually weigh heavily on candidates and find your way to make it work. You need to use every moment to practice. Don’t hesitate to ask for help in the sections that are challenging for you. Practical experience will help you go further and give you an extra advantage to pass the exam. This is the best way to find out whether you are ready for the exam. Not only your understanding of the concepts is on the test, but your practical experience too. Practice tests help you understand the layout of the test because the questions are similar to the ones that you may encounter in the exam. You get used to the test atmosphere, and it makes it easier for you to be relaxed during the actual test. Don’t forget to set a deadline and schedule the topics – this will help you to study more efficiently and save the time. Look through your study materials before the test, especially the recommended Cisco books. Refreshing your knowledge will help you to calm down and relax, so you will be able to cope with anxiety and answer the questions correctly. This also will help you identify any points that you may have overlooked and view them again before the exam. During the final weeks before the test, you should devote your time to answer as many questions as possible. This is the time when the concepts are already imprinted in your mind, so all you need is to test just how much you’ve learned and consolidated your knowledge. Take a breather a few days before the test and relax your mind. You do not want to overload your mind as it may work against you during the exam. It is okay to completely relax your brain muscles so that they may be rejuvenated and work well when you need them to. Ensure that you get a good night’s sleep before the day of the test and that you are not tired on the day of the exam. This will help you to focus your mind on the test and keep the concepts that you have studied in your mind. Your career as a networking professional will not be built only upon this certification, but it will help establish you as a successful professional in the industry. Passing this Cisco CCNA exam(s) will set you aside from your colleagues who are not certified and give you the opportunity to work globally. Make sure you do your best.